It is interesting how the Philippines’s Gilas Pilipinas team is perceived by notable foreign basketball figures overseas. France point guard Tony Parker and team assistant coach Ruddy Nelhomme admitted their worry on the Philippines use of the 3-point shot as a weapon ahead of their game. 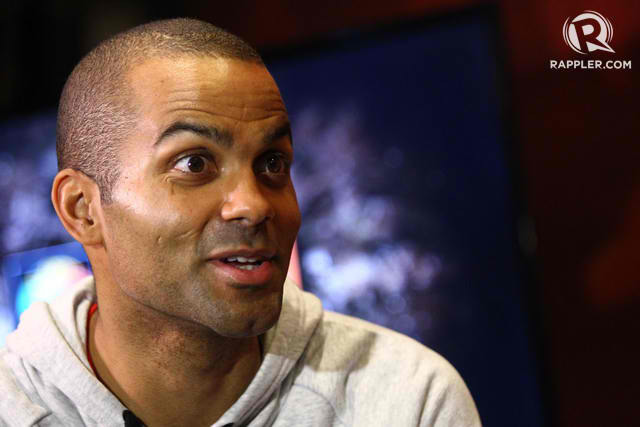 “We know it is a big part of their arsenal and they are very good at it,” said Parker. “If the Filipinos get hot from the outside it will open up the lane for Andray Blatche and those quick point guards of theirs. So we have to guard against that.” – these are indeed flattering remarks from the opposing team. Nelhomme, a long-time assistant to France head coach Vincent Collet said that the French were able to take in Gilas’ match versus Turkey the other evening that ended up in a 84-76 win for “12 Dev Adam.” He observed that “the Philippines is fast and you cannot underestimate them.” Parker described the Philippine team, which features FIBA Asia Mythical 5 mainstay Jayson Castro and explosive scorer Terrence Romeo, as “fast and talented”; another good comment for Gilas. The French team are in Manila after they lost to champion Spain in the semi-finals of EuroBasket 2015. The Philippines lost to China and now at the stage of qualification. France and the Philippines are in Group B of the FIBA Olympic Qualifying Tournament along with New Zealand. Group A is composed of Canada, Senegal, and Turkey will also be competing for the last 3 slots available for the 2016 Rio Olympics opening on August 5.